Damascus, SANA. 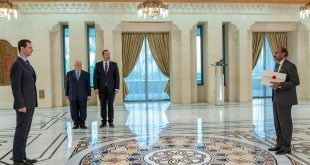 President Bashar al-Assad on Wednesday received Foreign Minister of the Democratic People’s Republic of Korea Ri Su Yong and the accompanying delegation. 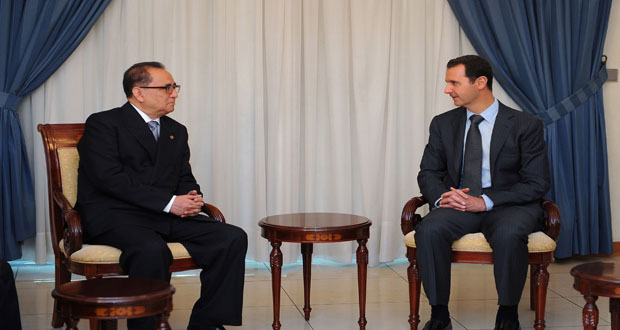 Talks during the meeting touched on means to boost the standing cooperation between Syria and the DPRK in various fields, particularly those pertaining to economic development and the reconstruction process. 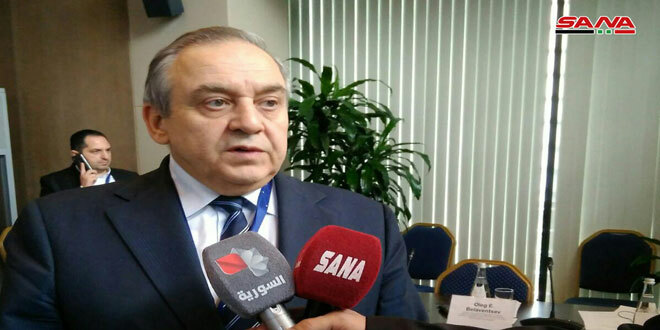 Ri Su Yong asserted that the great achievements made by the Syrian people in their war against terrorist, their success in holding the presidential elections, and the massive turnout in them despite some foreign forces and sides attempting fervently to hinder it, have delivered a severe blow to the plots of these forces which seek to undermine Syria’s unity and its important role on the regional arena. 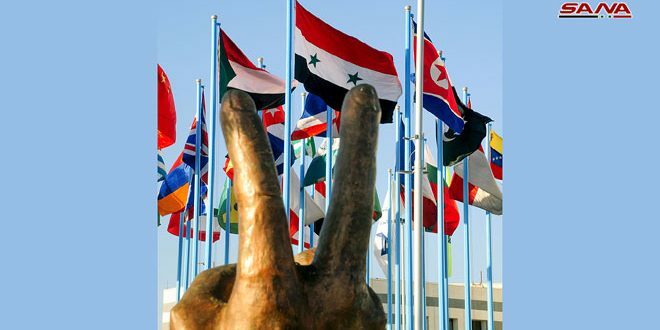 He said that many nations around the world stand alongside the Syrian people and support their steadfastness in the face of the multi-faceted war they are confronting, but in many cases they don’t express this openly due to the pressure being exerted by the forces opposing Syria, particularly the United States. 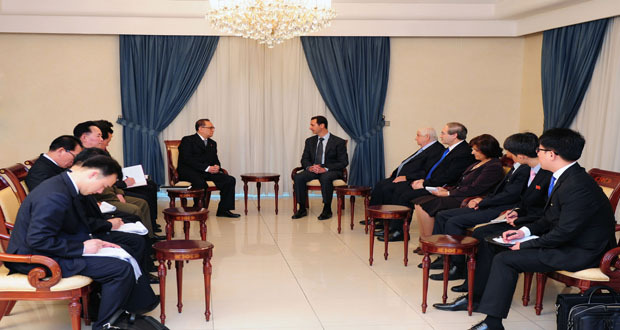 For his part, President al-Assad said that the west is employing various methods in an attempt to weaken and divide countries that don’t submit to its will and subjugate them, noting that in the past, the west used hireling governments to implement its plans, and today terrorist groups are filling this role, but the rallying of people to protect their homeland and independence should be sufficient to thwart them. 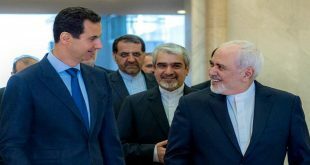 President al-Assad stressed that the west and other countries that support extremism and terrorism in Syria and in the region should learn from the example of past experiences and realize that the threats resulting from the growth of terrorism will cross the region’s countries and reach the entire world, particularly the states that harbor and support it. 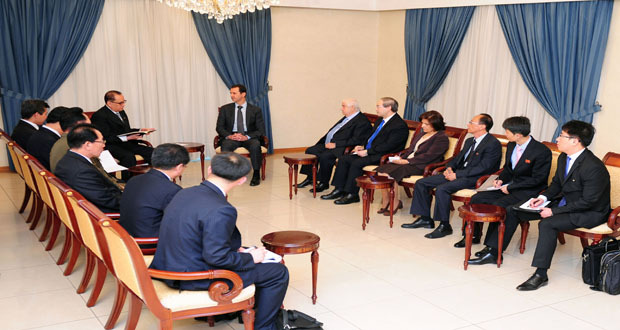 The meeting was attended by Foreign and Expatriates Minister Walid al-Moallem, Deputy Foreign and Expatriates Minister Dr. Fayssal Mikdad, Director of the Asia Department and the Foreign and Expatriates Ministry Nadra Assaf, and Ambassador of the Democratic People’s Republic of Korea in Damascus Jang Myong Ho. In the same context, Minister al-Moallem met Ri Su Yong and discussed with him coordination between the two countries in international circles. 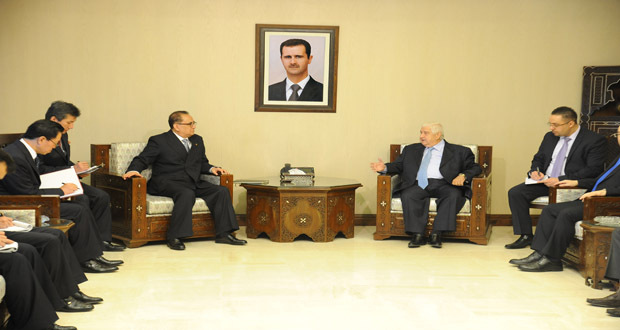 Al-Moallem detailed the latest developments in politics and on the ground, and the achievements made by the Syrian Arab Army in combating the terrorism which is backed by the west and a number of regional states. 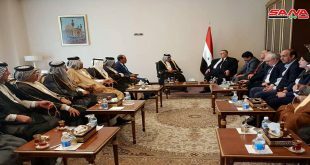 Ri Su Yong asserted that his country’s government and people stand alongside Syria in confronting the conspiracy targeting it and its people. 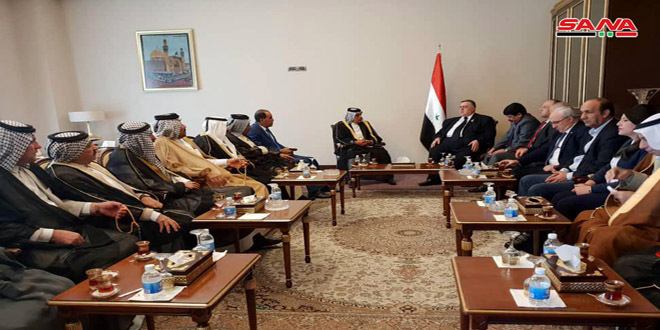 The meeting was attended by Dr. Mikdad, Advisor to the Foreign and Expatriates Minister Ahmad Arnous, Assaf, Jang Myong Ho, and the delegation accompanying the visiting Minister.